Keep cozy with this fleece throw blanket from the hit horror game Five Nights at Freddy’s! 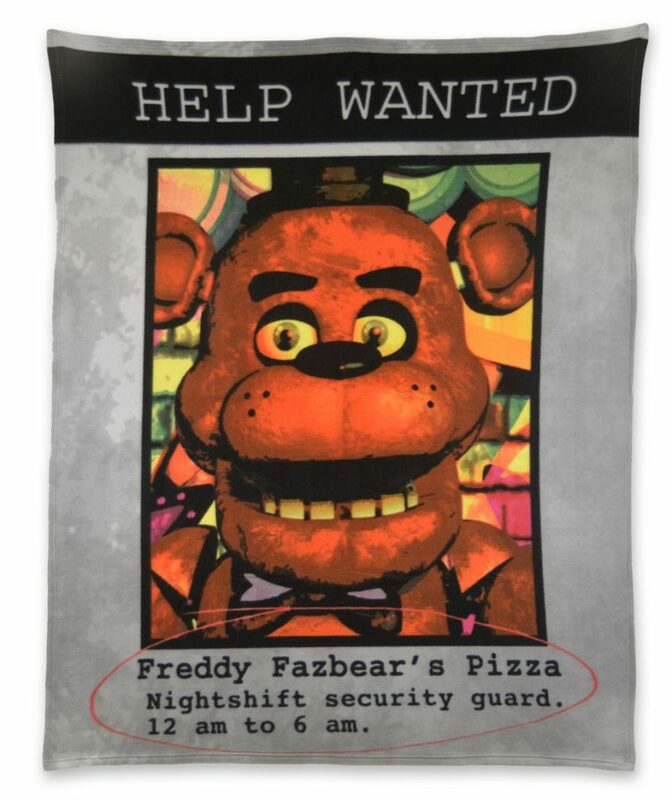 Big 50×60″ size is soft and features a “help wanted” ad for Freddy Fazbear’s Pizza. Made of machine washable polyester fleece.